Many students in Westville School District started off the year with brand new back-to-school supplies and book bags in part to a generous campaign by the Westville Lion's Club. 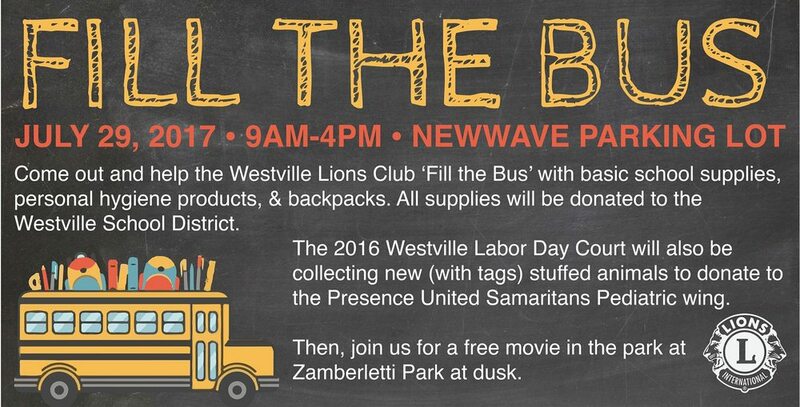 On July 29 the Lions Club organized a Fill the Bus campaign to collect basic school supplies, personal hygiene products, and backpacks. All of the items were donated to students in Westville School District. Thank you Westville Lion's Club for a generous and much needed act of kindness.